This area is for photo archiving for our web site administration only. If you found this page and are looking for items to purchase, click the links above or below. All photos and text, are copyrighted and protected as stated at bottom of page. 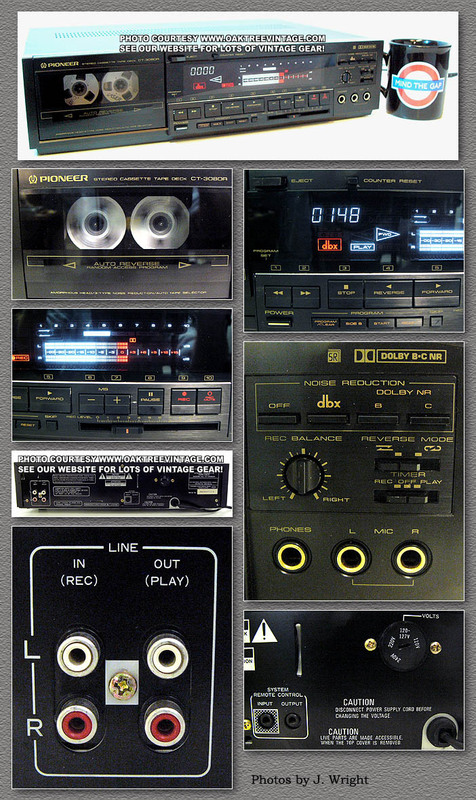 CLICK HERE TO SEE OUR TAPE DECKS CURRENTLY FOR SALE! ü Our technician has completely and EXTENSIVELY gone through and 'Certified' this unit which involves complete disassembly of the transport (not an easy task on this deck), cleaning inside and out, COMPLETELY DISASSEMBLING, cleaning and re-lubricating all internal mechanisms and the balance of efforts listed below. ü Heads inspected for excessive wear (obviously we do this 'early on' as 'excessive' wear will usually negate any further restoration work). ü All drive tires reconditioned for trouble-free service. ü All new internal rubber belts replaced for trouble-free service. ü Heads have been cleaned and de-magnetized as well as the entire transport. ü All internal pots, switches and controls cleaned and tested for noise-free function. ü All internal fluorescent displays and LED's working fine. ü Both hub spindles in perfect alignment. ü FF, REW, & Play transport functions all test perfectly and controls tested for 'positive / accurate' responsive. ü Heads in great shape as well, with many years of performance left in them and head alignment / azimuth has been checked for peak performance. 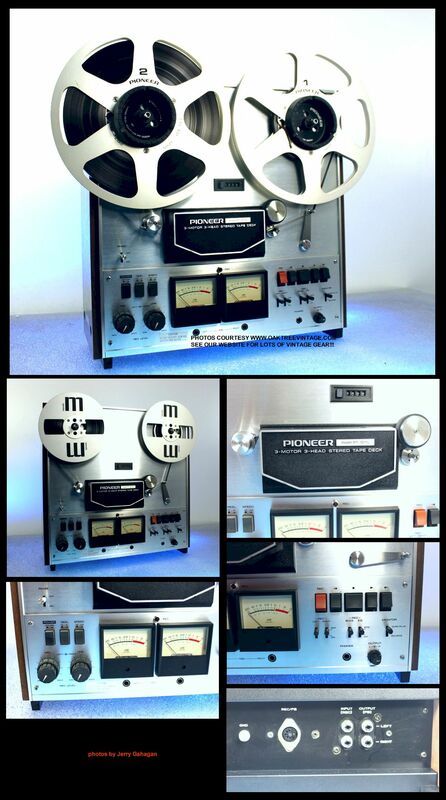 ü Playback meters zero with factory test tone tape. ü Plays perfectly and records well @ ~0dB (between TDK and Maxell tapes) ( we really put them through the paces, testing both with well mixed, recently recorded CD material and CD recorded / factory test tones looking for correct head Azimuth and speed accuracy). ü Pinch roller and heads all in GREAT condition!!! -Both level meters playback even. ü Deck has had just over 9 hours of restoration work done, mostly to the transport. Face is made of beautiful brushed aluminum, and overall the deck is in NEW cosmetic condition. Following the extensive restoration, we did 'test recordings' of a 'ddd' CD on 6 tapes; Sony Normal Bias, Fuji Normal Bias, TDK Normal Bias, Maxell Normal Bias, TDK 'SA' High Bias, and Maxell 'XL-II' High Bias. 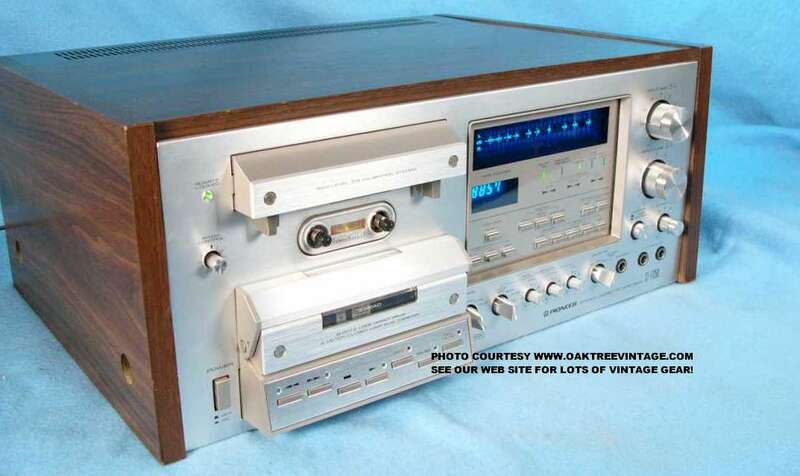 We found that for Normal and High Bias, of those tapes tested, both the "Maxells" performed VERY well on this particular deck. Total technician time to restore ~9 HOURS! HEY, WHY ALL THE 'X'd' OUT / OMITTED SPECS AND TEXT? 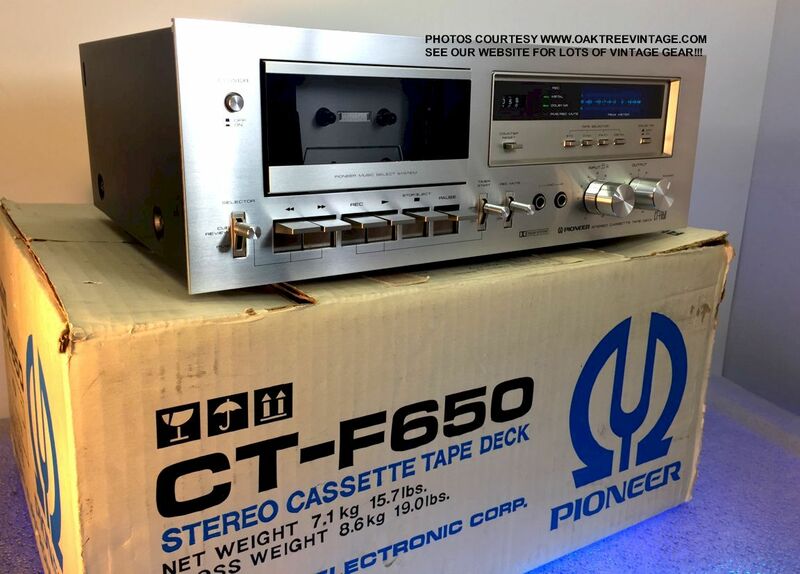 Again, we have completely refurbished and thoroughly tested this deck, with multiple recording tests (as stated previously). Cosmetically, it's in essentially NEW condition! 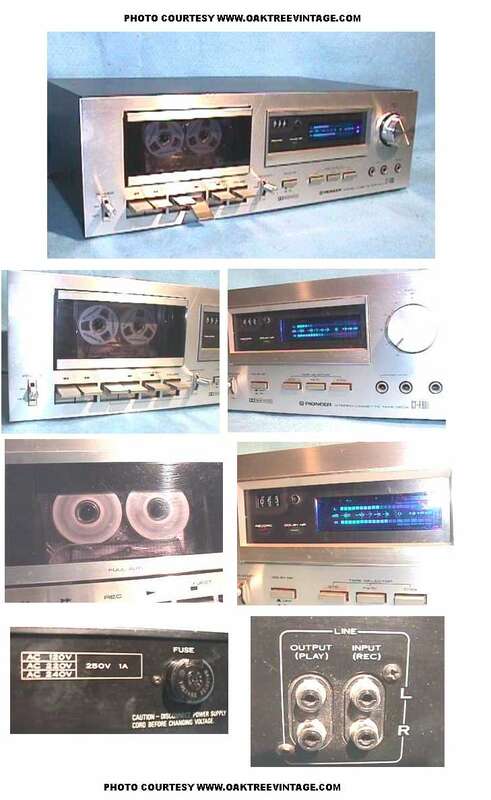 Great addition to a classic Pioneer "Spec" rack! 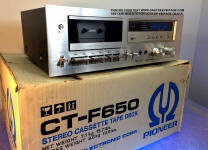 Also great for transferring your tape collection to CD, Hard-drive or MP3. Includes original box and packing. Comes with an 'e-copy' / pdf of the Pioneer CT-F650 owners manual. Measures 16.5" wide x 13.25" deep x 6" tall and weighs 18 lbs unpacked. Comes with our 90 day limited warranty. Our technician has completely gone through and 'Certified' this unit. We have completely and extensively gone through the mechanicals and electronics of this unit. - Brakes extensively adjusted on fast wind modes also. - Reel motor torque adjusted to correct force in grams. All three motors test perfectly. - We also installed a new counter belt for trouble-free service. - All External and Internal pots, switches and controls cleaned and tested for noise-free function. 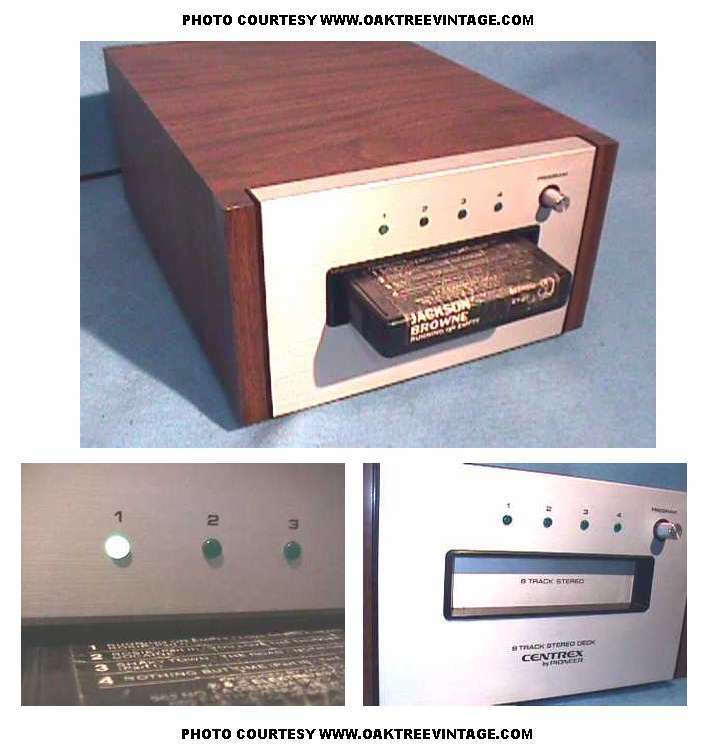 - We adjusted the internal playback levels for both directions independently as well as the record levels and both VU meters mechanically and electronically w/ factory test tone tapes. - Headstacks have been cleaned and de-magnetized as well as the entire transport. - Head-stack alignment / azimuth has been checked for peak performance with factory test tone tape and oscilloscope. - Heads have typical, normal wear and are all in fine condition with hundreds of hours left. 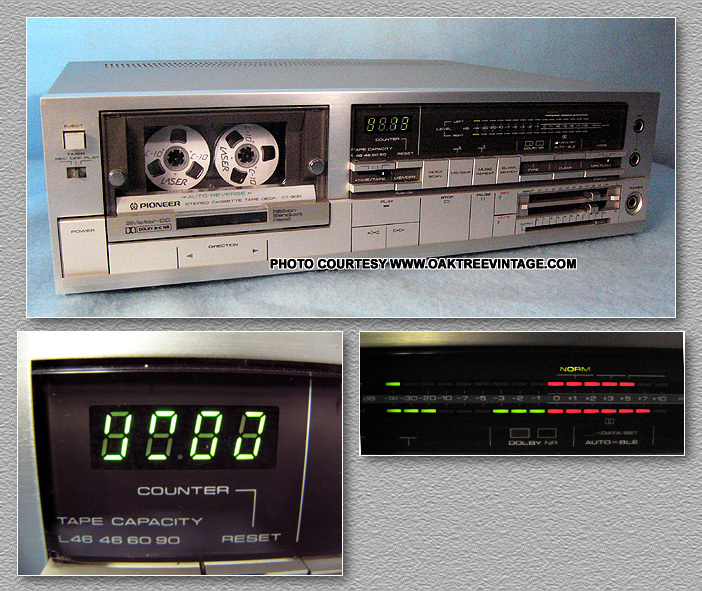 - Both level meters adjusted for even playback level w/ factory test tone tape. - Both typically problematic direction indicator lamps replaced by cool running LED's. 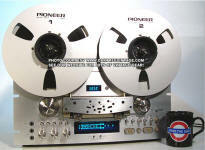 - Plays great and Records at +/-0dB on both Normal and High Bias Chrome tape @ 1kHz. We really put them through the paces, testing both with well mixed, recently recorded CD material and CD recorded / factory test tones looking for correct head Azimuth and speed accuracy. - Both internal speed pots adjusted to 100% accuracy on either speed independently (with pitch control zero'd) meaning that our 1kHz tape plays back at 1000Hz +/-1Hz. (Total time investment in refurb / testing ~ 9 hours). Frequency response: XXips = XXHz to XXkHz. We have completely gone through this unit. All mechanics, disassembled, cleaned and re-lubed . Rubber pinch rollers have been replaced, new drive belt installed, pinch-roller mechanism completely disassembled, cleaned and re-lubed, PR mechanism solenoid mounts adjusted, capstan burnished, heads have been cleaned and de-magnetized as well as the entire transport. Brakes adjusted on fast wind modes also. Back tension adjusted on both reel motors. All three motors test perfectly. Replaced right 'tape tension micro switch'. Repaired minor sine-wave distortion in right channel pre-amp board by replacing factory omitted cap. Replaced weak directional LED. Internal pots, switches and controls cleaned and tested for noise-free function. We adjusted the VU meters both mechanically and electronically w/ factory test tone tapes, as well as the internal playback levels for both directions independently and record levels. Deck has been fully calibrated to factory manual specs, tested, and found to perform like new in all categories. Both spindles in perfect alignment. We also adjusted the reel table heights. Heads in great shape as well, with many years of performance left in them and head alignment / azimuth has been checked for peak performance with factory test tone tape and oscilloscope. Both internal speed pots adjusted to 100% accuracy on either speed independently (with pitch control zero'd). 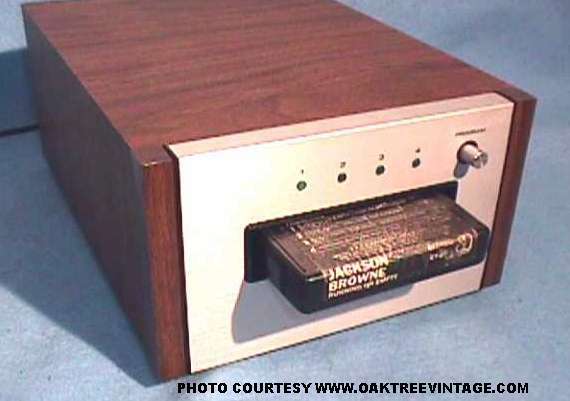 Plays great and Records at +/-0dB on both normal Bias and -3dB High Bias Chrome tape. Both level meters adjusted for even playback level w/ factory test tone tape (and we really put them through the paces, testing both with well mixed, recently recorded CD material and CD recorded / factory test tones looking for correct head Azimuth and speed accuracy). (Total time investment in refurb / testing ~ 12 hours). Face is made of beautiful brushed aluminum with only one scuff (see photos above), and is in great condition and has never been rack mounted. Deck looks and works great! ü Entire transport was disassembled down to the chassis, and every mechanical part was cleaned, re-lubed and reassembled. ü Brakes adjusted on fast wind modes also. ü Back tension adjusted on both reel motors. ü Internal pots, switches and controls cleaned and tested for noise-free function. ü We adjusted the 'Blue Fluorescent' VU meters electronically w/ factory test tone tapes, as well as the internal playback levels for both directions independently and record levels. ü Deck has been fully calibrated to factory manual specs, tested, and found to perform like new in all categories. ü Both spindles in perfect alignment. ü We also adjusted the reel table heights. Heads in great shape as well, with many years of performance left in them. 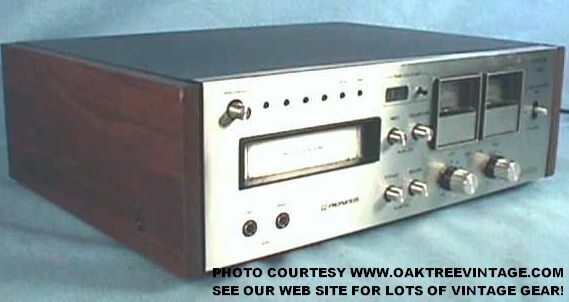 ü BOTH direction Playback and Record Head alignment / azimuth was adjusted for peak performance with factory test tone tape and oscilloscope. ü Both internal speed pots adjusted to 100% accuracy on either speed independently (with pitch control zero'd) (meaning that our 'verified' 1000Hz test tape now plays back at 1000Hz). 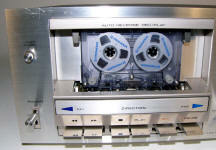 ü Records at +/-0dB on High Bias Chrome tape. ü This Pioneer RT-909 functions, plays, and records perfectly (and we really put them through the paces, testing both with well mixed, recently recorded CD material and CD recorded / factory test tones looking for correct head Azimuth and speed accuracy). (Total time investment in refurb / testing ~ 12 hours). Face is made of beautiful brushed aluminum with only one scuff (see photos above), and is in great condition and has never been rack mounted. Deck looks and works great! Looks GREAT & is "Ready-to-go"! 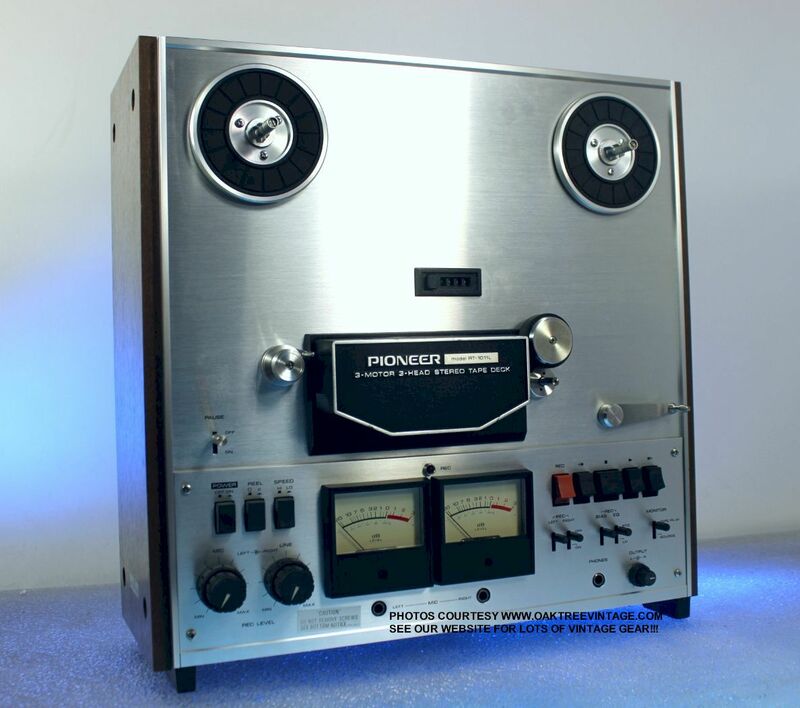 The very sought after Pioneer RT-909 Stereo Reel to Reel tape deck. 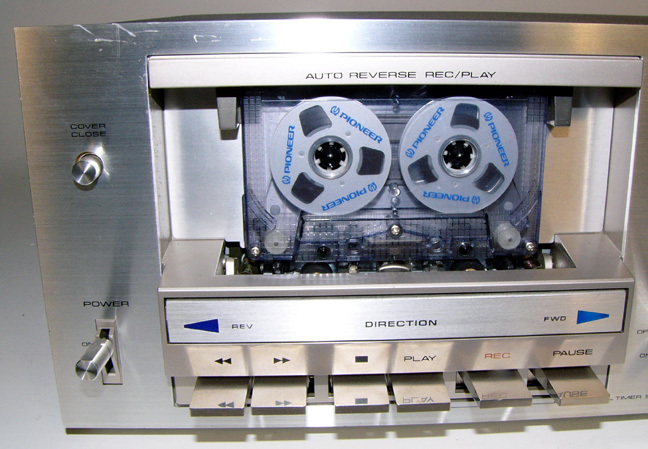 Will play / record stereo 1/4" tapes on reels 5, 7 & 10.5". 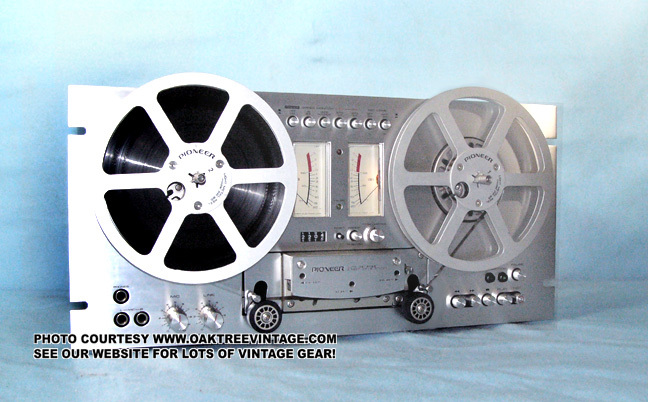 This is one of the few reel to reel decks we get in that make it to our finished page. Great performer. 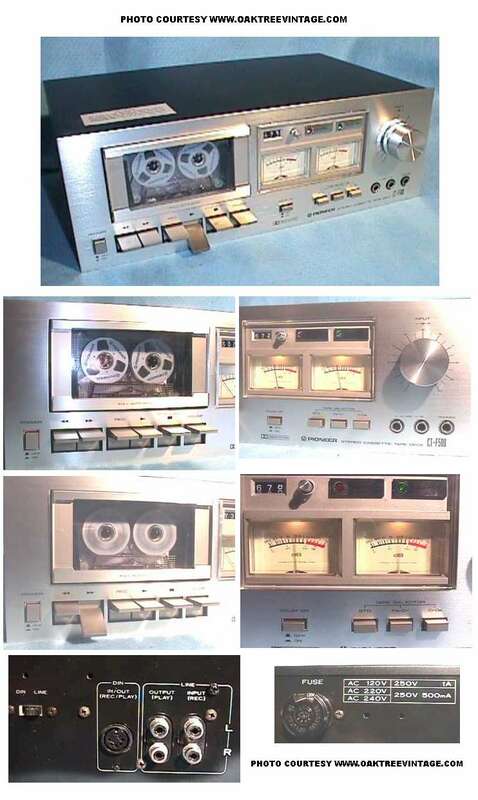 If you're looking for a reel to reel deck to "actually use" here you go. 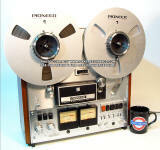 Only about 25% of the used Reel decks out there can be "practically" restored to working order. This one made it through and all functions test great! Looks and sounds great too! Again, we have completely gone through it. 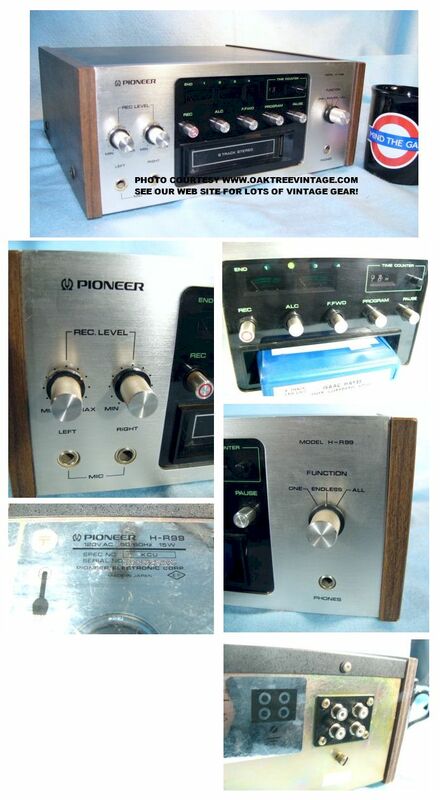 It has been a few years since the last Pioneer RT-909 made it to the page (the second to last one went in my personal rack). ... HEY, WHY ALL THE 'X'd' OUT / OMITTED SPECS AND TEXT? 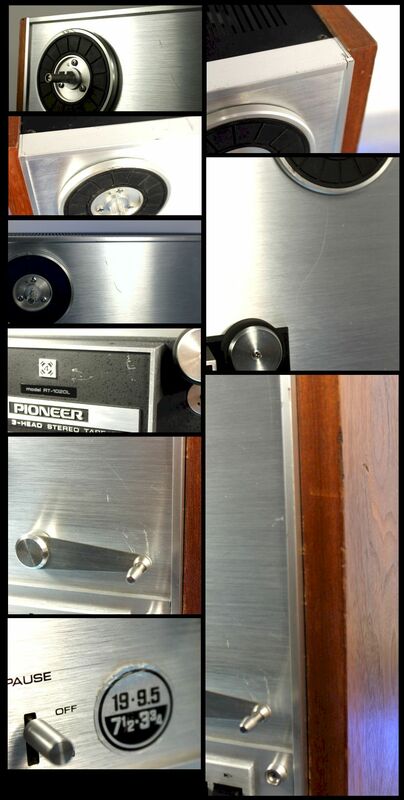 Thick & solid brushed aluminum face plate in excellent condition and has never been 'racked' so no rack screw rack rash / marks! Case also in great condition...HEY, WHY ALL THE 'X'd' OUT / OMITTED SPECS AND TEXT? 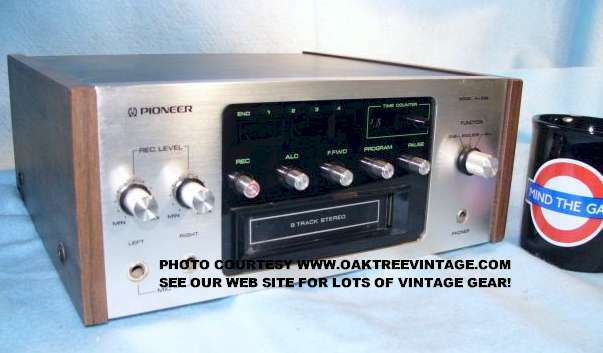 Includes a pdf / 'e-copy' download of the Pioneer RT-909 Owners manual, and if desired, a copy of the Pioneer RT-909 Service manual. Measures 19" wide x 11.5" deep x 13.5" high and weighs 46 lbs unpacked. Includes our standard 90 day limited warranty. WITH A PAIR OF NAB HUBS AND ONE 10.5" METAL PIONEER TAKE-UP REEL!!! ü Heads in great shape as well, with many years of performance left in them. 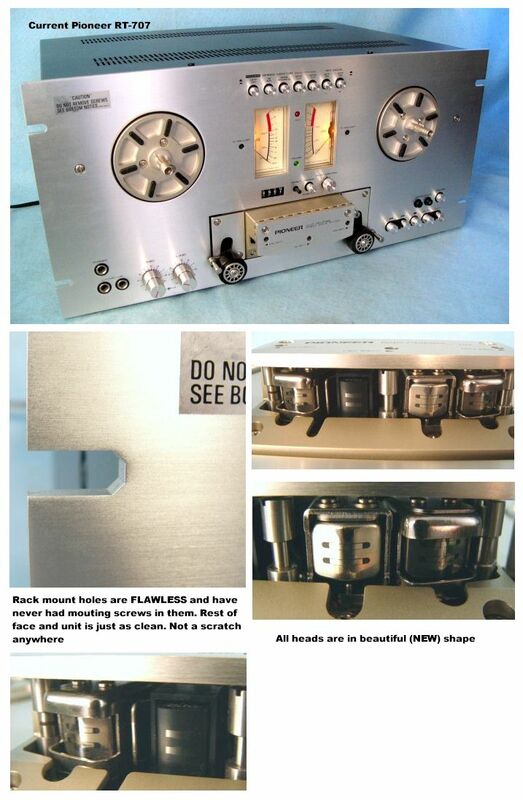 Face is made of beautiful brushed aluminum and is in great condition and has never been rack mounted. Deck looks and works great! ....HEY, WHY ALL THE 'X'd' OUT / OMITTED SPECS AND TEXT? 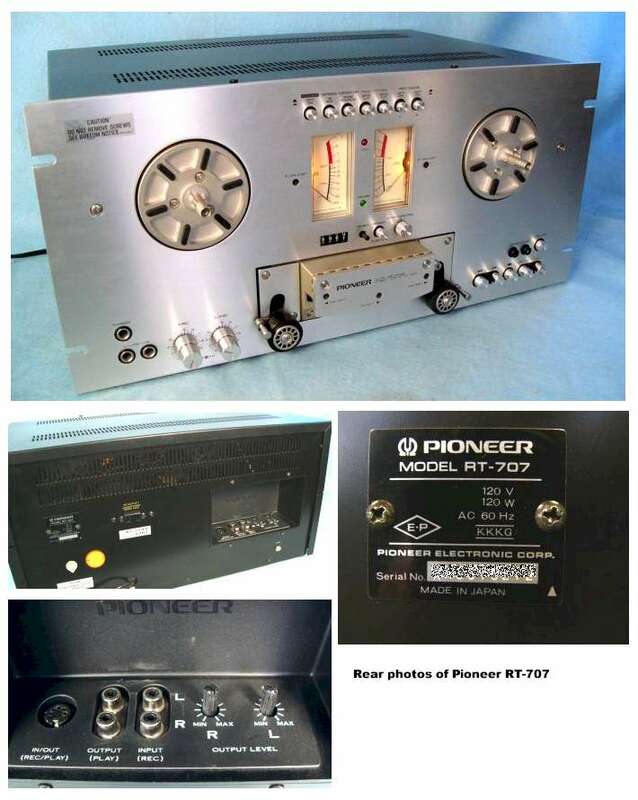 Includes a pdf / 'e-copy' download of the Pioneer RT-909 Owners manual, and if desired, a copy of the Pioneer RT-909 Service manual. Includes our standard 90 day limited warranty. WITH A PAIR OF NAB HUBS (TEAC) AND ONE 10.5" METAL PIONEER TAKE-UP REEL!!! ü Brakes adjusted on fast wind modes on both 7.5” and fully loaded 10.5” reels from top speed. ü While the heads do have some visible wear (generally expected on a 30+ year old deck) they perform great (see test results below), with lots of performance left in them. ü Both internal speed pots adjusted to 100% accuracy on 3.75ips and 7.5ips speeds independently (with pitch control zero'd) (meaning that our 'verified' 1000Hz test tape now plays back at 1000Hz +/- 1Hz w/ pitch control at ’12:00’ position). 50Hz = -1dB, 100Hz= -1dB, 500Hz= -1dB, 1kHz= 0dB, 8kHz= -1dB, 10kHz= -3dB and 15kHz= -5dB. Pretty good numbers for a 35 year old classic! 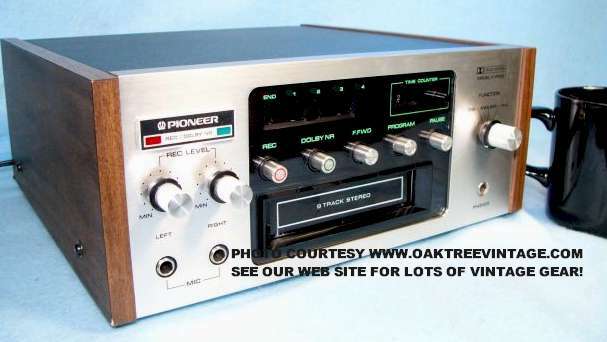 ü This Pioneer RT-909 functions, plays, and records perfectly (and we really put them through the paces, testing both with well mixed, recently recorded CD material and CD recorded / factory test tones looking for correct head Azimuth and speed accuracy). (Total time investment in refurb / testing ~ 13+ hours). to the page (the second to last one went in my personal rack). Fast Wind Time w/ 720m’ Tape & 10.5" reel: Less than xx0 sec. Thick & solid brushed aluminum face plate in LIKE NEW condition and has never been 'racked' so no rack screw rack rash / marks! Case also in excellent condition. These are great machines. I have had one myself for a few years (this one WAY OUTPERFORMS my personal unit. Need to get our tech to do mine). It's a blast to put on a BIG 10.5" reel with Pink Floyds, "Dark Side of the Moon". Even though it was designed for the consumer market, many were and are in use in schools, universities, libraries, clubs, etc. 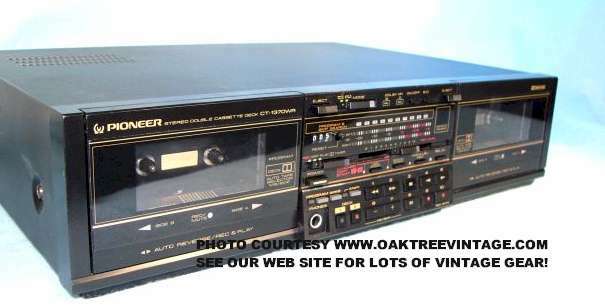 I worked at a Sheraton Inn in the late 70's and early 80's, and we had two in the DJ booth, that supplied foreground music from about 11AM till the DJ showed up at about 9PM, 7 days a week! WITH A PAIR OF ORIGINAL PIONEER NAB HUBS AND ONE 10.5" METAL PIONEER TAKE-UP REEL!!! ü Internal pots, switches and controls cleaned and tested for noise-free function (initially, of course, had typical static / noise which is to be expected in an 'un-serviced' deck after 35+ years). ü We adjusted the VU meters mechanically and electronically w/ factory test tone tapes, as well as the internal playback levels for both directions independently and record levels. 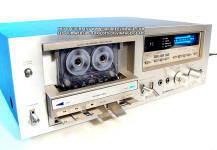 ü Speed tested to 99.0% accuracy following refurb (meaning that our 'verified' 1000Hz test tape now plays back at 1010Hz). ü Records decently at 0dB (yes, that's ZERO) on Maxell, UD High Bias tape at 1kHz. 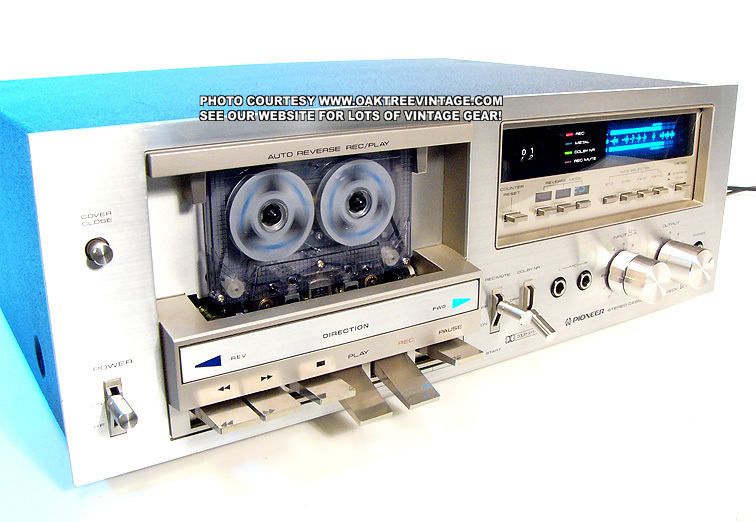 ü This Pioneer RT-1011L functions, plays, and records VERY WELL (and we really put them through the paces, testing both with well mixed, recently recorded CD material and CD recorded / factory test tones looking for correct head Azimuth and speed accuracy). (Total time investment in refurb / testing ~ 14 hours). Face is beautiful, brushed, Stainless Steel and case is in great condition. Deck looks and works great! 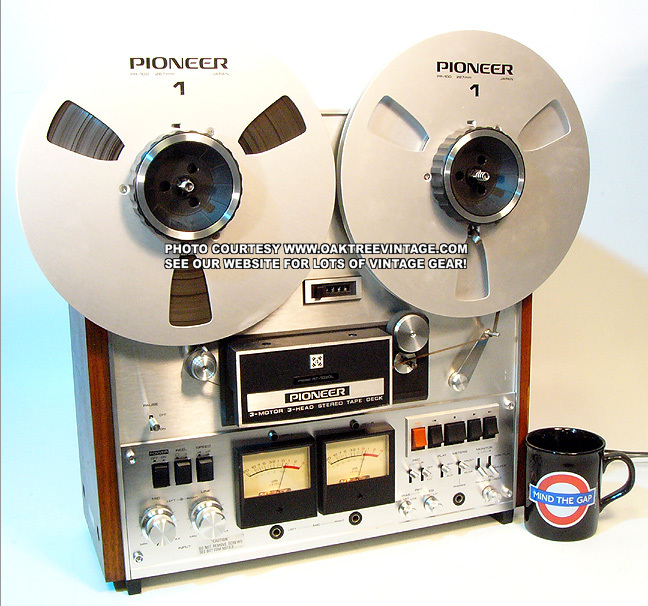 The Pioneer RT-1011L Stereo Reel to Reel tape deck. Ready to GO! 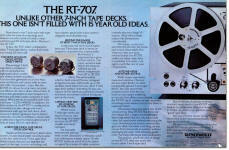 This is one of the few reel to reel decks we get in that make it to our finished page. 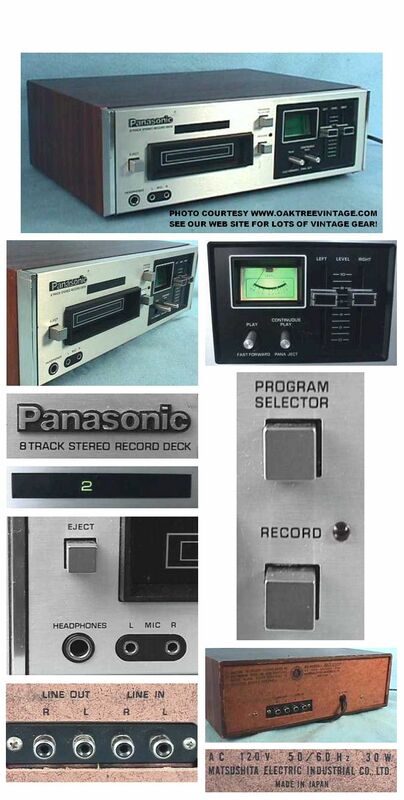 If you're looking for a reel to reel deck to "actually use" here you go. 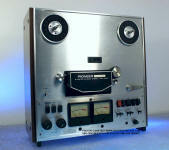 Only about 25 % of the used Reel decks out there can be "practically" restored to working order. This one made it through with flying colors after about 14 hours of bench time. The deck tests great! Looks and sounds great too! We have completely gone through it. Will play 7" & 10.5" reels. (Total time investment in refurb / testing ~ 12 hours). 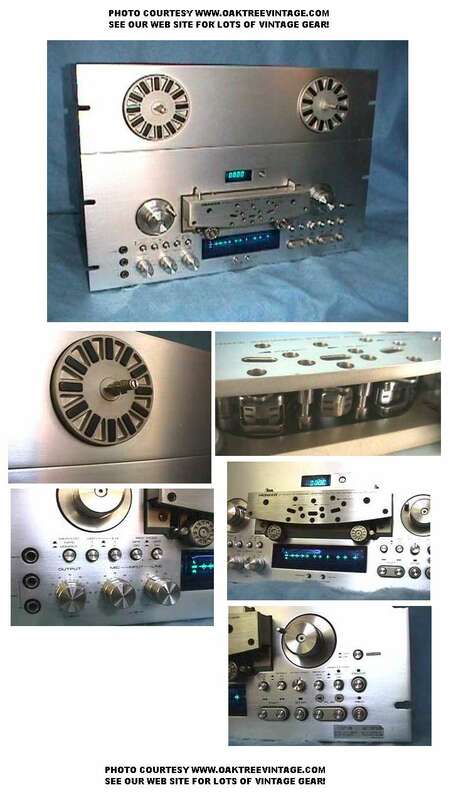 Face is made of beautiful brushed stainless, and is in great condition with no reel scuff. Deck looks and performs great! 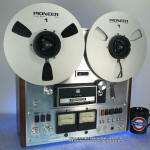 ..Only about 30-50% of the used Reel decks out there can be "practically" restored to working order. This one made it through with flying colors. Looks and sounds great too! We have completely gone through it. Will play or record 7" or 10.5" reels. 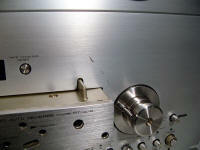 ü Playback and Record Head alignment / azimuth was adjusted for peak performance with factory test tone tape and oscilloscope. 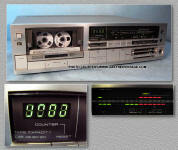 ü Records decently at -5dB on Maxell, UD High Bias tape at 1kHz. 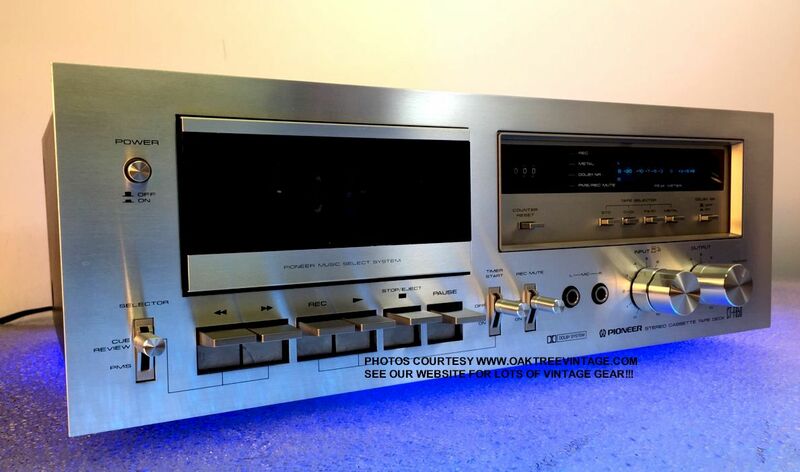 ü This Pioneer RT-1011L functions, plays, and records VERY WELL (and we really put them through the paces, testing both with well mixed, recently recorded CD material and CD recorded / factory test tones looking for correct head Azimuth and speed accuracy). (Total time investment in refurb / testing ~ 11 hours). Face is beautiful, brushed, Stainless Steel and case is in great condition. Deck looks NEW and works great! The Pioneer RT-1011L Stereo Reel to Reel tape deck. Ready to GO! 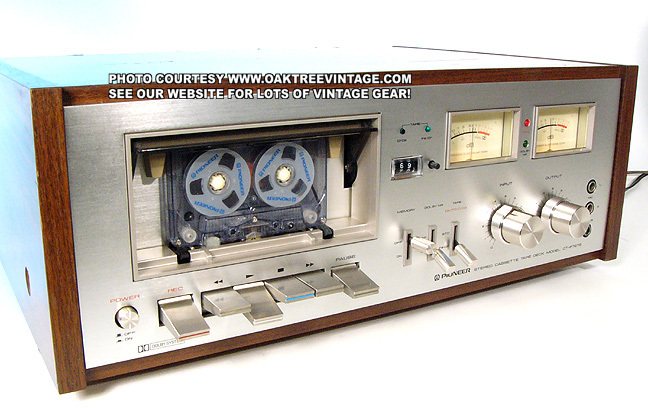 This is one of the few reel to reel decks we get in that make it to our finished page. Great performer. If you're looking for a reel to reel deck to "actually use" here you go. 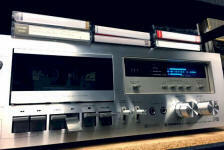 Only about 30-50% of the used Reel decks out there can be "practically" restored to working order. This one made it through with flying colors after about 11.5 hours of bench time. (Total time investment in refurb / testing ~ 11-12 hours). Face is made of beautiful brushed stainless, and is in great condition with no reel scuff. Deck looks and performs great! ü Entire transport was disassembled down to the chassis, and every mechanical part was disassembled, cleaned, re-lubed and reassembled. 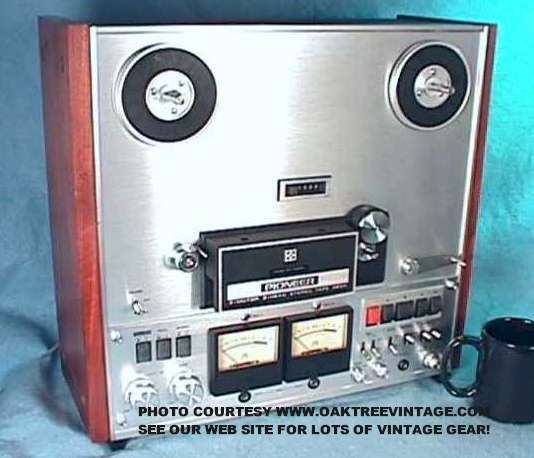 ü Records decently at approx -10dB on High Bias Chrome tape at 1kHz & approx -8dB on Normal Bias Chrome tape at 1kHz. ü This Pioneer RT-1020L functions, plays, and records very well (and we really put them through the paces, testing both with well mixed, recently recorded CD material and CD recorded / factory test tones looking for correct head Azimuth and speed accuracy). (Total time investment in refurb / testing ~ 12 hours). Face is made of beautiful brushed aluminum and case is in great condition. Deck looks NEW and works great! 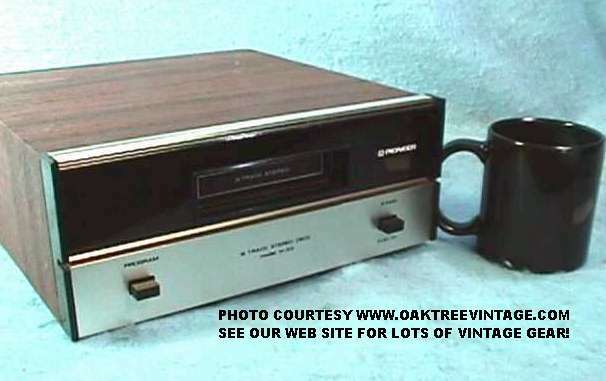 I have one of these in my personal collection (although mine isn't in refurbished condition yet like this one). Ready to GO! 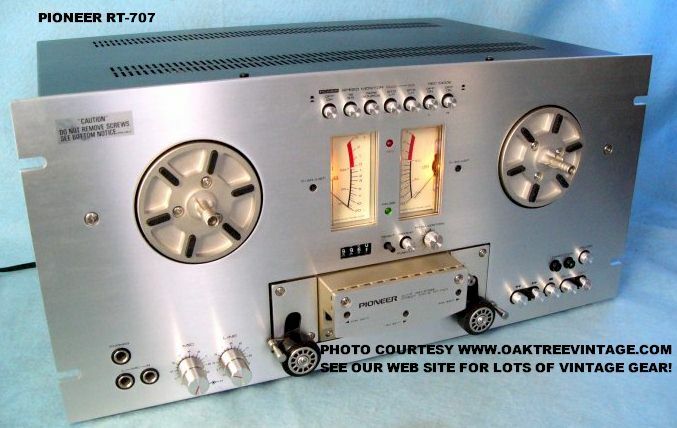 This is one of the few reel to reel decks we get in that make it to our finished page. Great performer. 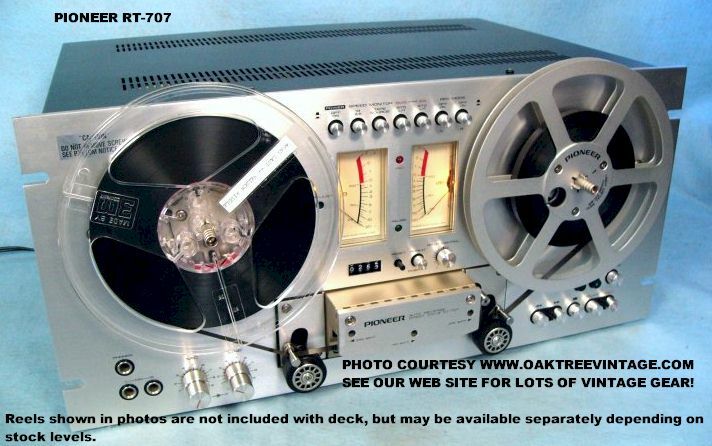 If you're looking for a reel to reel deck to "actually use" here you go. 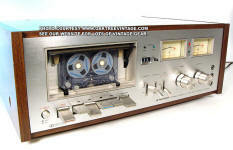 Only about 25 % of the used Reel decks out there can be "practically" restored to working order. This one made it through with flying colors. The deck tests great! Looks and sounds great too! We have completely gone through it. Will play 3", 5", 7" & 10.5" reels (10.5" reels require optional NAB hub adaptors that we generally have available at their additional cost). Looks great & is "Ready-to-go"! 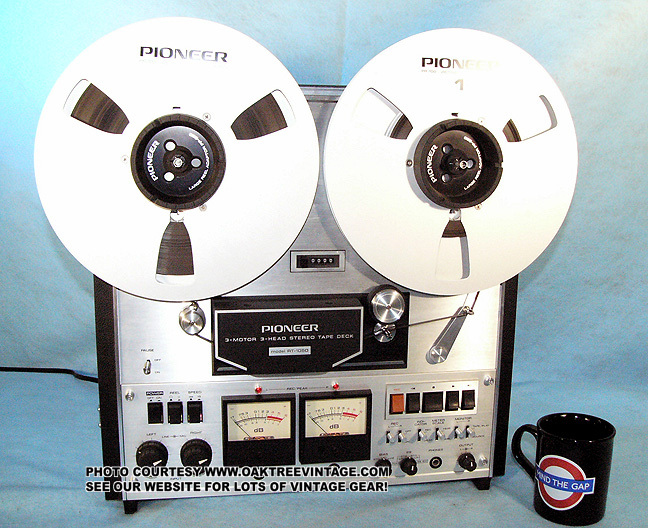 The very sought after Pioneer RT-1020L Stereo Reel to Reel tape deck. 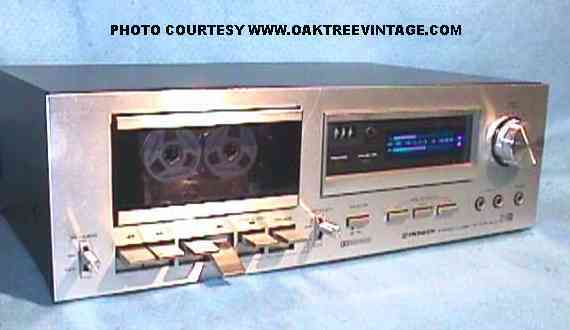 Will play / record stereo 1/4" tapes on reels up to 10.5". This model is very unique in that it will...HEY, WHY ALL THE 'X'd' OUT / OMITTED SPECS AND TEXT? 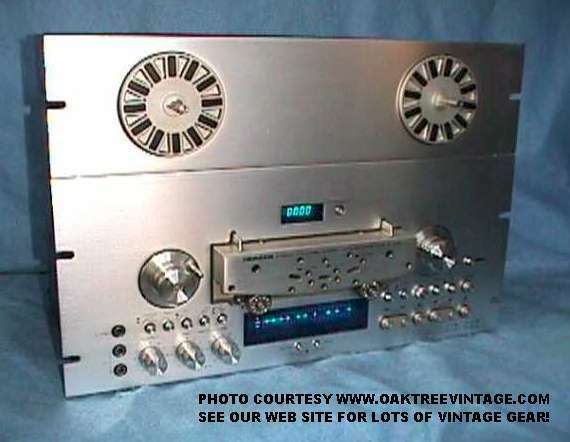 This is one of the few reel to reel decks we get in that make it to our finished page. Great performer. 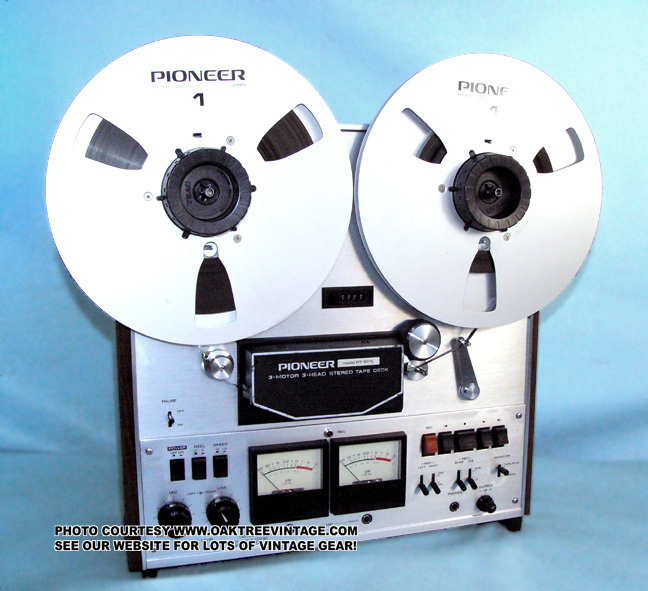 If you're looking for a reel to reel deck to "actually use" here you go. 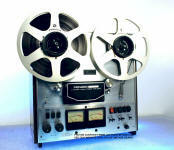 Only about 25% of the used Reel decks out there can be "practically" restored to working order. This one made it through and all functions test great! Looks and sounds great too! We have completely gone through it. - Handles up to 10.5" reels! - Independent L & R record enable switches for doing "S-O-S / sound-on-sound"
As stated earlier we have completely gone through it cleaning, lubing, adjusting, demagnetizing and testing everything. Plays and records well! Only cosmetic issue worth mentioning is some light scuffs / striations on the small knob. We don't get many decks capable of 10.5" reels, and when we do have one refurbished, they don't hang around long. 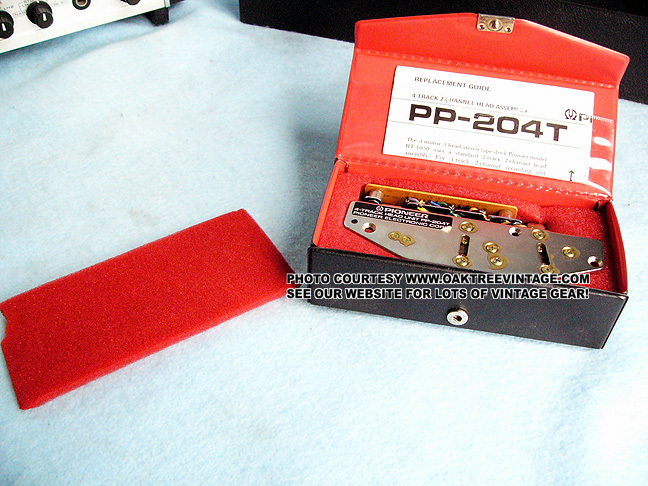 Comes with an 'e-copy' / pdf download of the Pioneer RT-1020L owners / operations manual and service manual if the purchaser so desires. 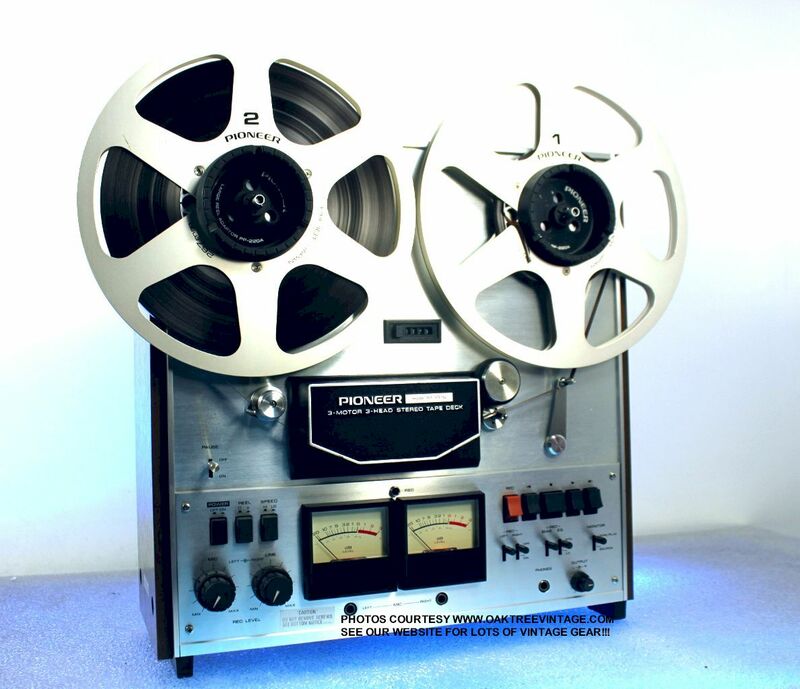 All of our restored / refurbished reel to reel decks come with a 7", plastic take-up reel, a 'known good' 7" tape for initial testing of playback, and a 7" tape you can record onto, all to assist you in becoming familiar with the operation / function of your new reel to reel tape deck. 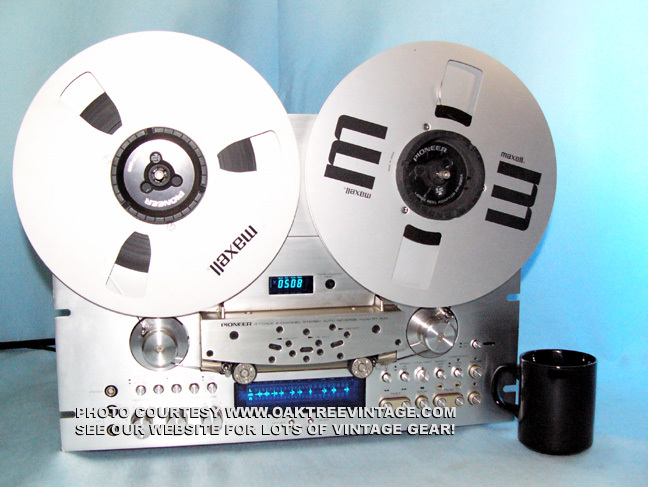 We will be getting more machines ready over the next few days to a couple weeks, but it is a slow process, as every 20+ year old Reel to Reel tape deck requires 10-18 hours of service to be brought back to "usable" condition. Check back often as they will sell out quickly!